Insurance companies like National Insurance Company, Star Health and Allied Insurance Co. Ltd, L&T General Insurance Co. Ltd, are offering insurance cover for AYUSH. This was stated by Minister of State for Finance, Shri Namo Narain Meena, in written reply to a question in the Lok Sabha today. With the growing demand for alternate therapies even for critical illnesses including those related to tumours and heart diseases, most insurance majors are looking at providing cover for non allopathic treatment. The ministry of health and family welfare has also been expanding alternate medicine under the Ayush programme. more people are opting for ayurveda, unani, sidha and homeopathy solutions for long term relief," said Antony Jacob, CEO, Apollo Munich Health Insurance. "Keeping (this) in mind, we included non-allopathy treatments." However, the shift is still at a nascent stage. Insurers said there are challenges related to standardised the pricing for treatments and certification by recognised medical practitioners, which need to be addressed. "Our healthcare insurance products cover alternate medicine provided the treatment is prescribed and administered by a qualified doctor. However alternate medicine is not the preferred or first choice for most people, but we see this share growing in next few years," the spokesperson of Reliance ADA Group said. According to estimates, the market for Ayush was estimated at $1,792 million in 2009, and is expected double at $3,640 million in 2014. Sources said the insurers are looking to ease the claim process for alternate treatments, which is at present mired in procedural issues. The Insurance Regulatory and Development Authority (IRDA) has issued a notification informing the inclusion of the Indian System of Medicines in the mediclaim insurance policy. As per the notification, the insurance coverage to Ayush treatments has been facilitated through the regulation 5(1) of the IRDA (Health Insurance) Regulations, 2013. The new regulation, which was published in the official gazette and came into force with effect from February 18, 2013, states that the insurers may provide coverage to non-allopathic treatments provided the treatment is taken in a government hospital or in any institute recognised by government and or is accredited by Quality Council of India (QCI), National Accreditation Board on Health (NABH) or any other suitable institutions. According to Dr G S Lavekar, a senior consultant and former DG, CCRAS, department of Ayush, “Prior to the inclusion of Ayurveda, Homoeopathy etc. in the mediclaim insurance, there has been serious neglect of this sector by the medical and insurance companies in the country, discouraging the patients from opting treatment through traditional systems. Thus, this news comes as a huge boost to the morale of the industry which has been striving very hard since past many years to achieve the goal of covering all traditional system of medicines under the health insurance policies of the country.” Further, he added that, this result is an outcome of a joint effort taken by the industry, the Ministry of Health and Department of Ayush, especially by the then secretary of the department, S Jalja, since 2009 to recognise the traditional system of medicines under the mediclaim insurance. Though the industry is very happy with the recognition of the traditional treatment regimens like Ayurveda, Sidhha, Unani and Homoeopathy under the mediclaim cover for treatment options, they have expressed their apprehensions on the response and approach of the medical and insurance companies on the same. Prabodh Shah, president, Gujarat Ayurvedic Aushadh Manufacturers Association (GAAMA), pointed out, “This is a great news for us, especially since more and more patients now will be able to take the benefit of ayurvedic treatment, giving more credibility and recognition to our industry. But at the same time, we fear that the insurance company will take their own time in adopting this regulation creating problems for us.” Suggesting a plausible solution to this, he suggested that there should be an effective sensitisation drive on this notification among the industry members, patient groups and hospitals to let them know about their rights. Moreover, he wants the government, various ASU associations and the insurance companies across the country to come together to work in tandem to find a appropriate way to implement it effectively at the earliest for benefiting the patients at large. 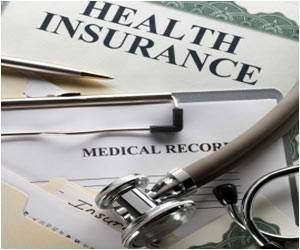 It is understood that at present insurance companies like National Insurance Company, Star Health and Allied Insurance, L&T General Insurance are offering insurance cover for Ayush. Insurance is very important for us ..